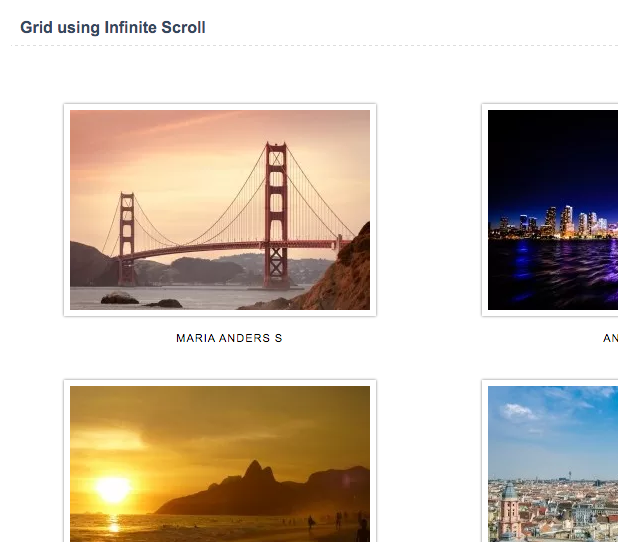 In this example we'll be showing a new Scriptcase functionality of the realease 031, called Infinite Scroll. This function allows that always when the user is at the end of the page, load more records. 1. 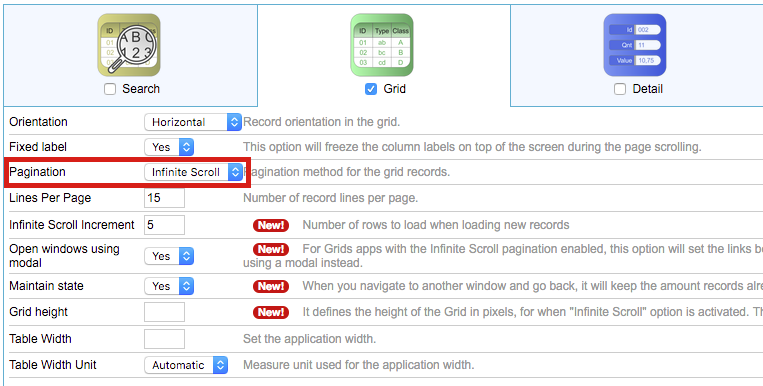 Open a grid application and on "Grid modules", in the "Grid" module, select the option Infinite Scroll in the item "Pagination". 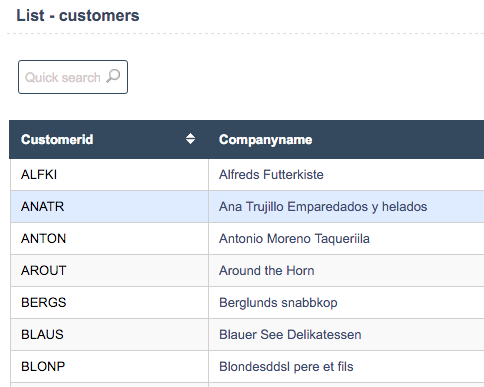 In the item "Infinite Scroll Increment" you can change the value for each load, load more records according to the value.